← Are big changes on the horizon for Scotland? Our Tuesday train ride from Edinburgh to Liverpool was uneventful with only one change required in the village of Preston. Both Tim and I commented on how much we have come to enjoy traveling throughout various countries via the rail system. The UK in particular (most familiar with their system now) seems to have it well figured out. The prices are reasonable (avoid London if you can to save money), the scheduling is frequent, helpful staff on hand at each station should you require assistance, and viewing the scenery along the way in a relaxed environment is just icing on the cake. I have done most of my booking online using Thetrainline.com. The site is easy to use and allows you to enter a variety of times to meet your needs or you can search for the best rates. 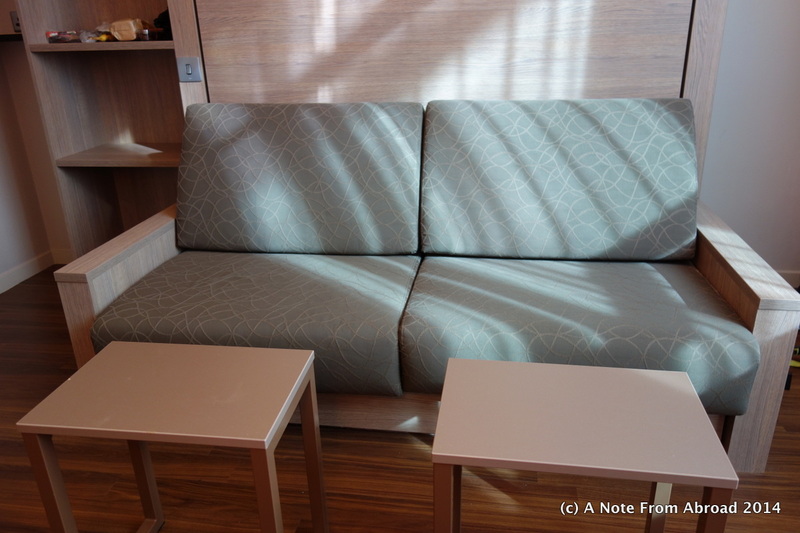 On longer journeys you can also reserve specific seats choosing from options such as which direction you want to face, sit in a window or aisle seat, a place with a table, near luggage racks, by the toilet, a quiet car, and even a seat with an outlet so you can charge your electronic gear. Arriving in Liverpool at the Lime Street station, we had a very short 5 minute walk to our hotel. We had booked online via Hotels.com a five night stay at the Adagio which is an apartment/hotel (or aparthotel) as they list it. Our room is considered a studio unit. Set up very similar to a hotel operation, but with a few more options. Breakfast is included or not depending who you book through. You can add-on the daily full buffet breakfast for £12 ($20) per person. Since our studio is fully equipped with a fabulous (but diminutive) kitchen, we opted to not do the breakfast option. A few blocks away is a Tesco supermarket where we stocked up on a few basics that would allow us to fix breakfast, a sandwich, have drinks or other snacks as needed. The kitchen includes a microwave, large refrigerator, dishwasher, dishes for six, glasses, pots, pans, silverware, cooking utensils and more. The room itself is spotless, modern and well laid out for the two of us. The king size bed is a Murphy unit that can be easily lifted up against the wall during the daytime converting it into a comfortable sofa. 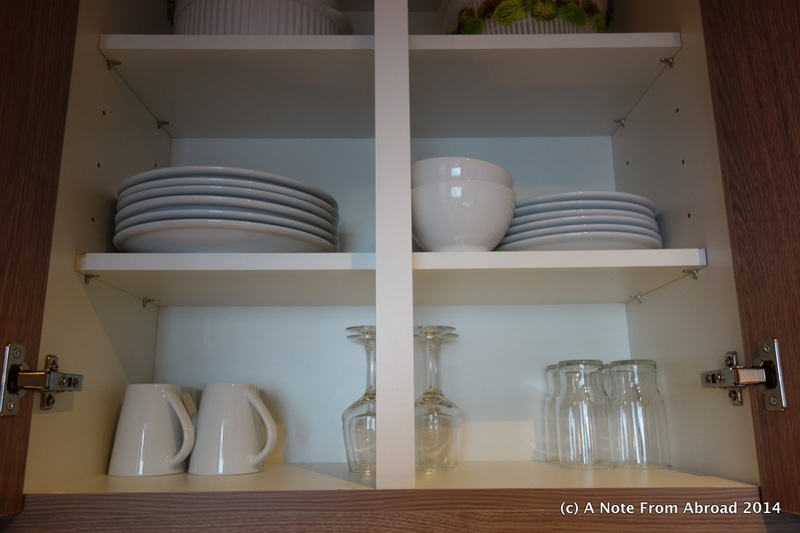 The desk unit has a table that slides underneath, that simply pulls out for meal time. 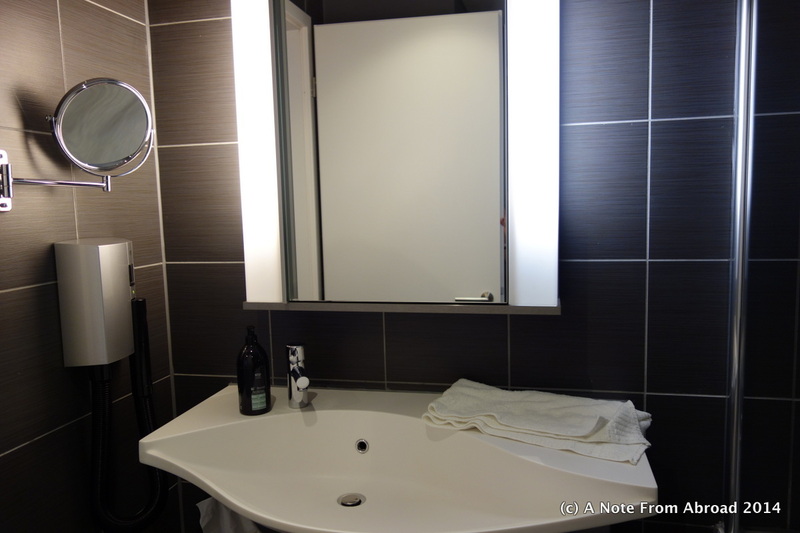 The roomy bathroom has modern sink, a shower/bathtub combo and good water pressure with plenty of hot water. Oh, and did I mention FREE and FAST Internet! Other niceties included in the room are a large flat screen TV, iPad docking station, iron and ironing board, several closets, a safe, hairdryer, hand soap, body wash and shampoo. There is also an onsite gym and laundry room available for guests to use. Larger units are available for families or friends traveling together. The only downside to be aware of is that daily cleaning is not included which for us is not a problem. Full cleaning is done including linens and towels being changed weekly for those having a longer stay. After experiencing what it was like living like a local in a modest situation in Scotland, it is nice to be pampered by some modern conveniences. At the time of this writing there are 100 Adagio locations. Being a French company, by far the majority are located in France, however they can also be found in Brazil, Germany, Austria, Italy, Monaco, Switzerland, UK, Belgium, Qatar, Russia, and United Arab Emirates. And just in case you are wondering – NO, I am not getting anything for recommending the Adagio. All comments and words are simply my own. When I find something I like, I am happy to share it! Gratitude Moment: Today I am grateful for being able to adjust to whatever circumstances we settle into. I am at home in a basic (rustic) setting or I can hobnob with the best of them in luxury. Somewhere in-between the two extremes is where I feel most comfortable. Home has become where ever we are at the moment. 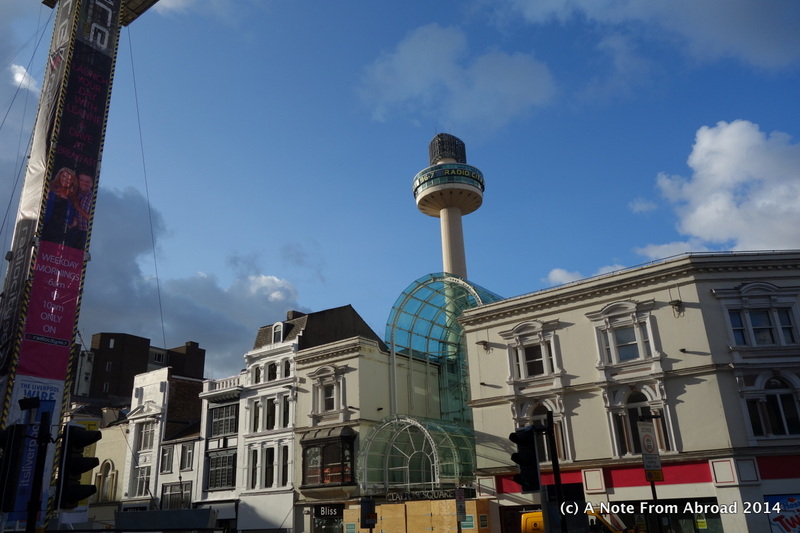 This entry was posted in England, Europe and tagged Adagio, Aparthotel, England, Liverpool, Photography, Travel. Bookmark the permalink. Thank you Veronica. We are loving it here. Looking forward to seeing more. The aparthotel sounds a little like our Motor Home. As a rule, in the past I hated to stay in hotels because the beds were so hard and uncomfortable. We used to carry a 2 1/2 inch memory foam mattress so that I could sleep. Enjoy the pictures, of all the places you travel. Am I spoiled? just a little bit! Pretty cool places to stay. I just stumbled upon them and now so glad I did. 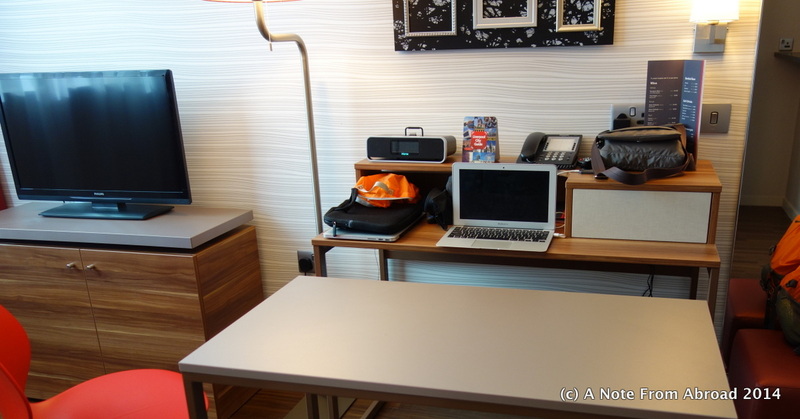 We stayed at the Adagio aparthotel in Brussels earlier this year and it was superb. As a family of four we are used to having hotels squeezing put-up beds in the single room. 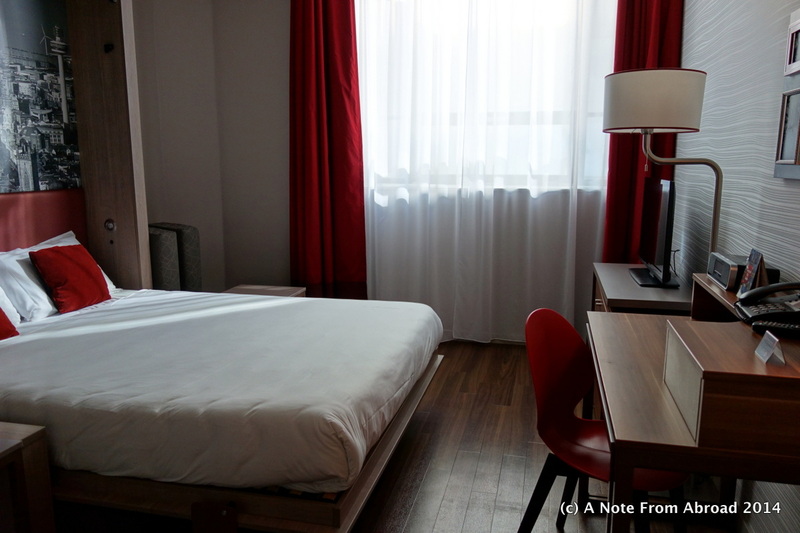 The other benefit of aparthotels is that you usually get a dedicated bedroom and then a sofabed in the living area – it’s more like getting a suite at a hotel but for half the price. I’m so glad to hear that others have found Adagio to be a great bargain and a wonderful place for a family stay. Thank you for sharing your experience.